Yesterday SolarCity started the installation of our solar system. 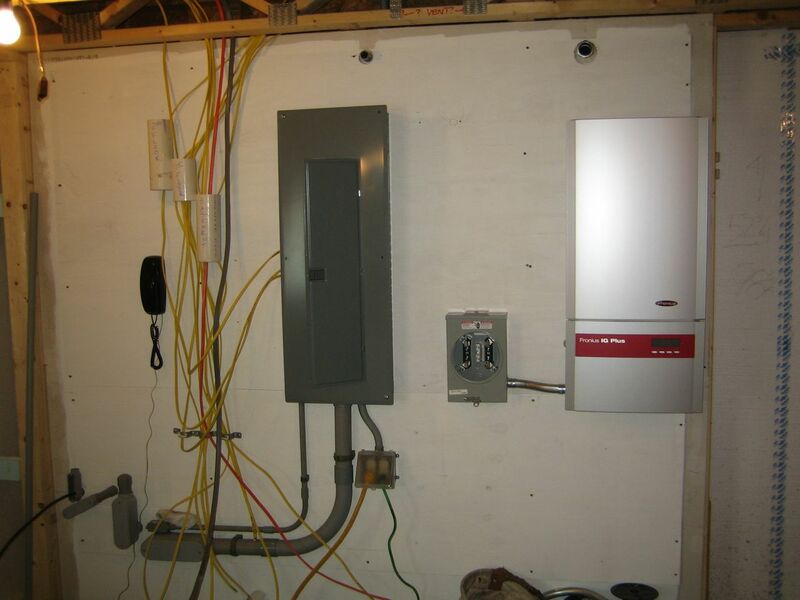 They started with the inverter, a Fronius IG Plus 7.5-1 UNI. This will convert the DC current coming from the panels on the roof to AC current. Next to the inverter will be a meter to track the amount of power generated by the panels and an AC disconnect. Now they are just waiting for a nice sunny day to get up on the roof and start the panel installation. While the solar guys were working in the basement, Warren and I started foaming the rim joist areas. We started in the attic foaming above the top plate. The foam in this area is primarily for air sealing. 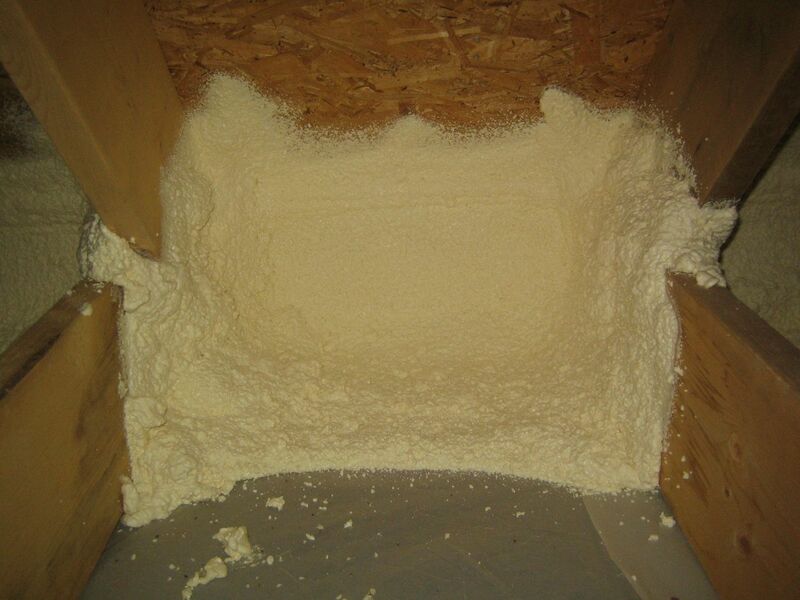 In other areas of the house it will be used mainly for insulation value in those hard to reach spots, like the rim joist areas because it is too hard to net around the trusses to blow in cellulose. We started in the attic because we wanted to get use to the two part foam kit, and perfect the spraying technique before heading to the more critical areas at the first and second floor rim joist areas. We’re trying to do as many things inside as we can these days due to spring rains. 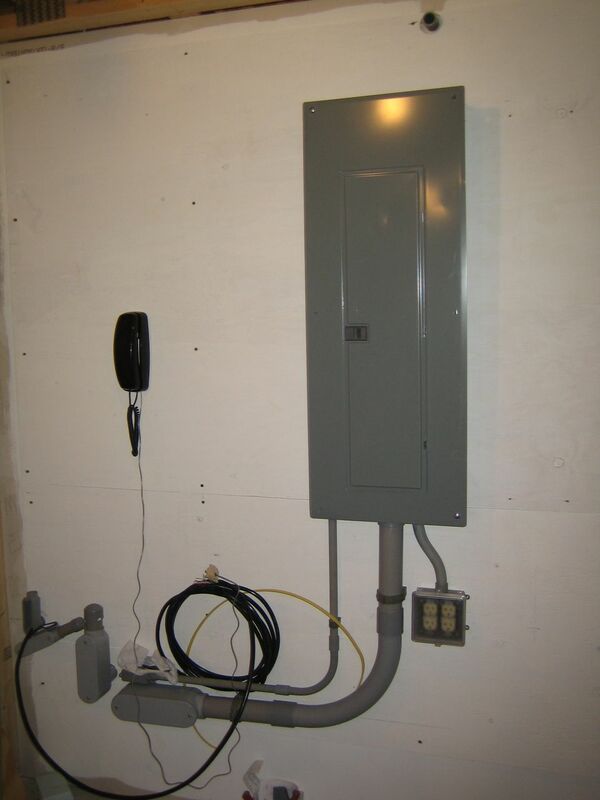 The main activity has been installing electrical boxes and running wire. We want to be ready for the solar installers, who may begin their work later this week. We got the main panel in last week and are now working on installing wall outlets and light fixture boxes. 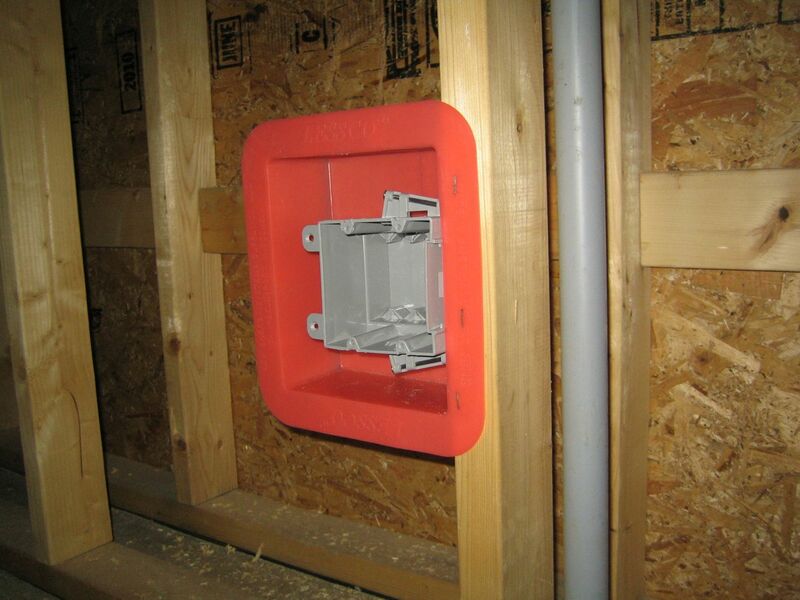 We’re fitting our exterior wall outlets inside poly boxes to simplify our air sealing details. A little foam where the wires pass through and some sealant on the edge of the box when we install the drywall should help keep interior air out of the walls. Having a few rain free days in a row can really make a difference. 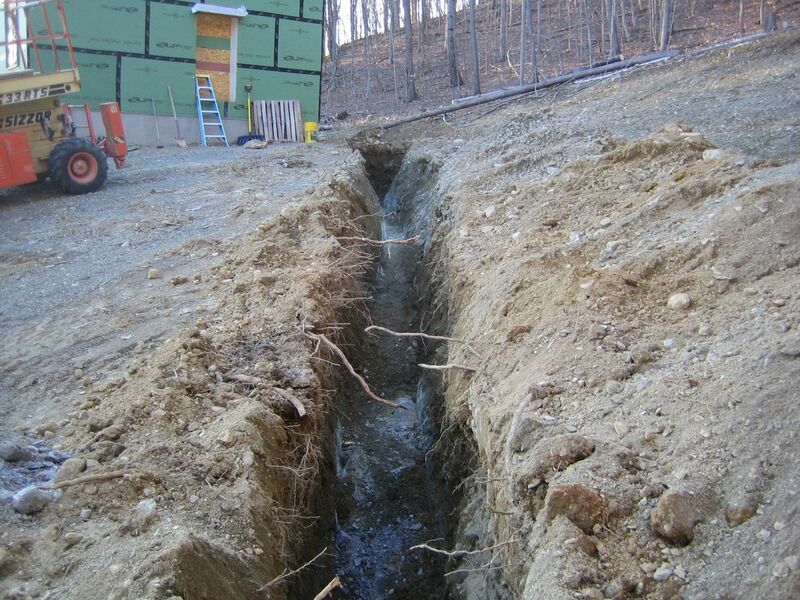 This week our excavator dug the trench to the well. He had to pound through a few areas of ledge. 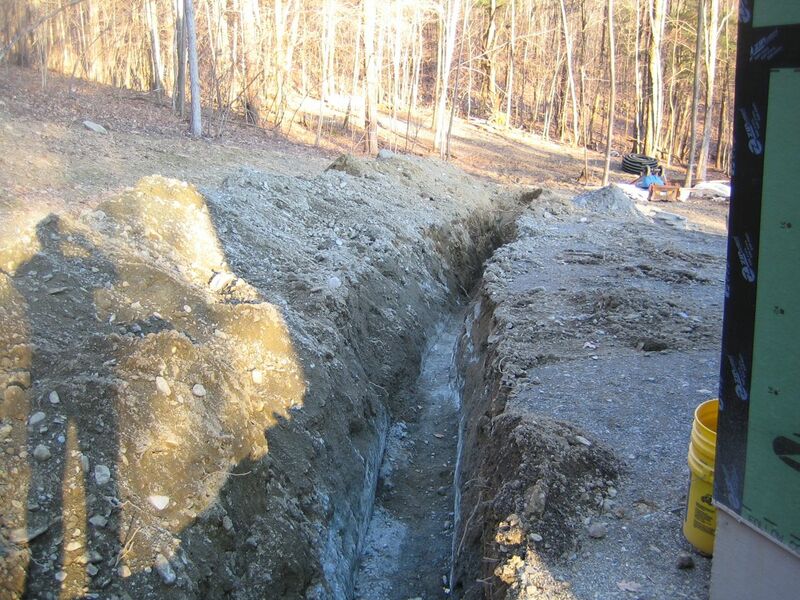 The well guys then installed the water pipe and electric line to power the pump. They will install the pump and tank a little later when we’re farther along with the electric and plumbing. This weekend we’re finishing up some of the window insulation details and framing out the bathroom wall for the pocket door. Martin Holladay is stirring the pot over at GBA. He has posted a piece today entitled, Are Passivhaus Requirements Logical or Arbitrary? While I tend to agree with his points in general, I also agree with many of Mike Eliason’s points in his response, A Passivhaus Rebuttal: In Defense of the Standard. There are clearly lots of ways to design and build a house with very low energy needs. 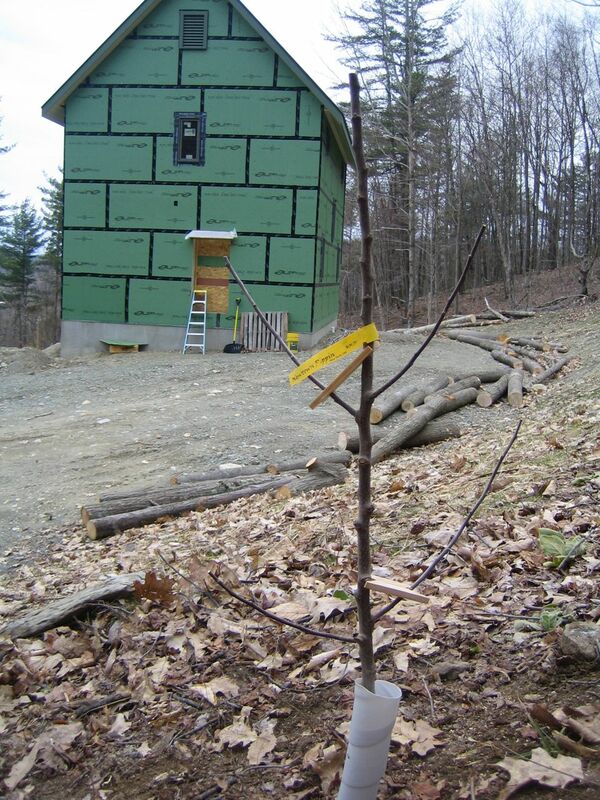 Of all the houses built to the Passivhaus standard thus far, there are bound to be those that are smart (and economical) about how they meet the standard, and those that are forced to rely on one or two methods alone. There will also be examples where the press or marketing is a bit over the top. 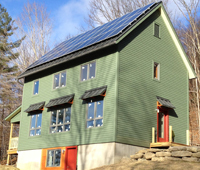 Although we are not shooting for Passivhaus certification in our own home, we chose to use as many methods as we could up front to minimize energy loses through the envelope. Factors like orientation, square footage, volume, number and size and type of windows on each side of the house, choice of appliances, etc. all contribute toward this goal. In the game of trade-offs, if we had decided to build on the north side of the hill rather than the south, or we wanted a ‘great room’ with cathedral ceiling, or big windows on the north side of the house for a great view, it would have required us to beef up on other factors of the envelope in order to get to where we are now. Check out the articles. I think this is the level of conversation we need in order to craft a better building standard.